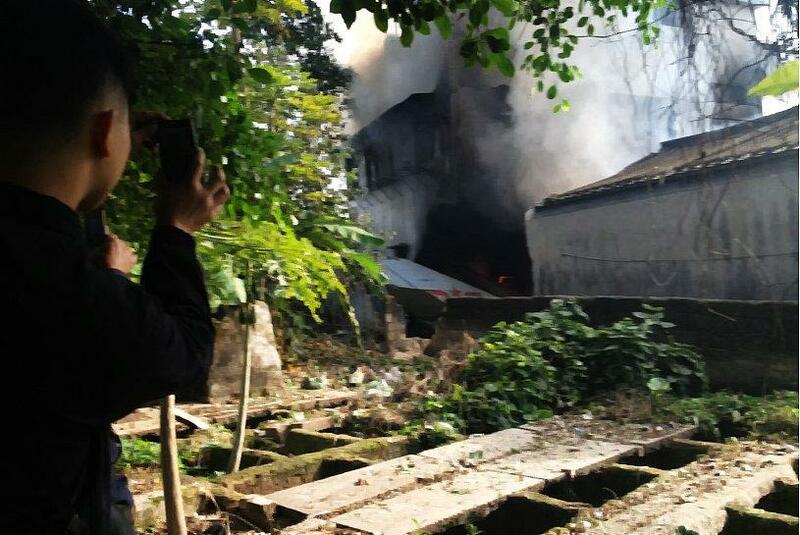 A Chinese fighter jet crashed in a southern Chinese city Tuesday, sparking a fire that injured at least four people, the defence ministry announced. Ground crews check on the row of Chinese Jian-7 fighter jets parked on the tarmac of the People's Liberation Army 24th Air Division base in Yangcun, located around 100 kilometers (62 miles) southeast of Beijing in 2002. A Chinese fighter jet crashed in a southern Chinese city Tuesday, sparking a fire that injured at least four people, the defence ministry announced. The Jian-7 fighter plane belonging to the Chinese air force crashed while on a training exercise Tuesday morning near the airport in Shantou city, Guangdong province, the ministry said in a statement on its website. 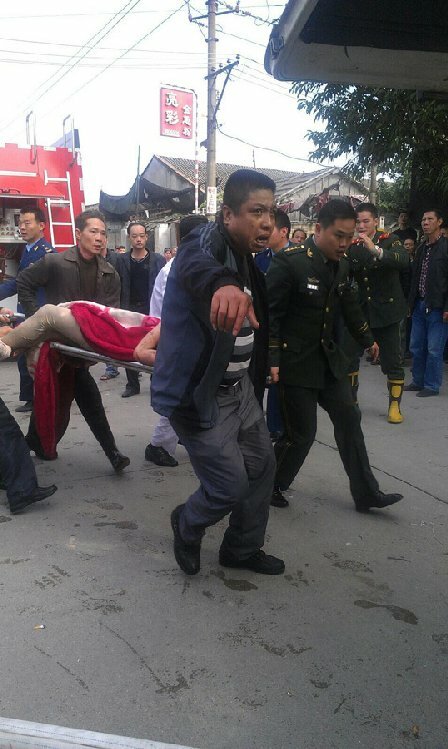 The plane ploughed into a residential building in Shantou, resulting in injuries to four people, it said. The pilot was able to parachute safely to the ground, it added. China Central Television, citing local firefighters at the scene, said three of the injured were hospitalised. 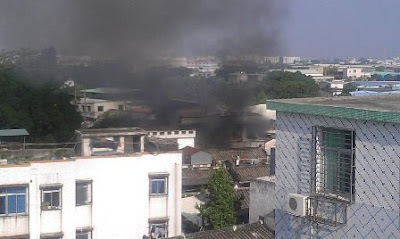 Photos from the scene posted on web portal Sina.com showed a dislodged wing of the jet next to a burning building as thick smoke billowed from the crash site. The Jian-7 is a Chinese-built version of the Russian MiG-21, which was first introduced in the 1950s.